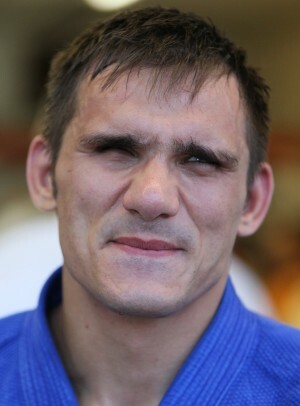 2012 ParaOlympic hopeful, Adnan Gutic, placed fifth at the 2011 Pan American Games in Guadalajara, Mexico. After losing his first match in the quarterfinals of the 73kg division, Gutic was able to pull out a win by ippon over reigning champion Mauricio Castillo of Colombia in the repechage. Adnan lost the bronze medal match by ippon to Mauricio Briceno of Venezuela. The Bosnian native from Afton, Missouri has improved steadily since joining the World Team in 2009. Gutic will be seeking to put his stamp on American Judo in 2012. 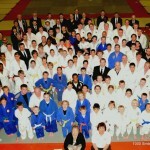 The 46th Annual Dallas Invitational Judo Championships to place on November 19, 2011 in Grapevine, Texas. 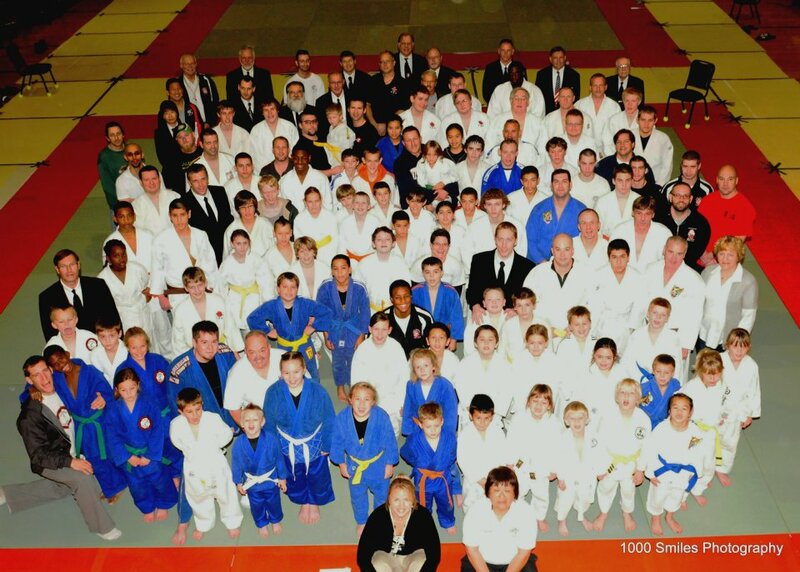 This was a USA Judo Senior-D Level tournament with more than 500 athletes competing. Anna Feygina represented White Dragon Judo Club at 57kg for this tournament. Feygina drew a talented division. She fought well but was unable to medal. Feygina has had a great 2011. Feygina’s judo has improved with the number of judo clinics and tournaments that she participates in. With 2012 among us, Feygina looks to separate herself from the pack. 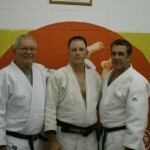 White Dragon Judo Club held their Senior Promotions session on November 29, 2011. This session featured Dan Raney, Rob Handshy and Shawn Greene. Rob Handshy has been studying judo for 15 months. He is a private class student of Sensei Demonn Smith. Rob is a Brazilian Jiu Jitsu practitioner, who originally started judo in order to improve his BJJ stand up game. Today, Rob’s abilities have improved ten fold in BJJ and Judo. Rob was promoted to Gokyu orange belt. Shawn Greene bring extraordinary background to the sport of Judo. Fluent in Japanese, Shawn is also a black belt in Kenpo Karate. Shawn has worked diligently to improve his techniques in Judo. He is a good role model for the club’s junior students, especially for his daughter, standout junior judoka, Julia Greene. Shawn was also promoted to Gokyu orange belt. 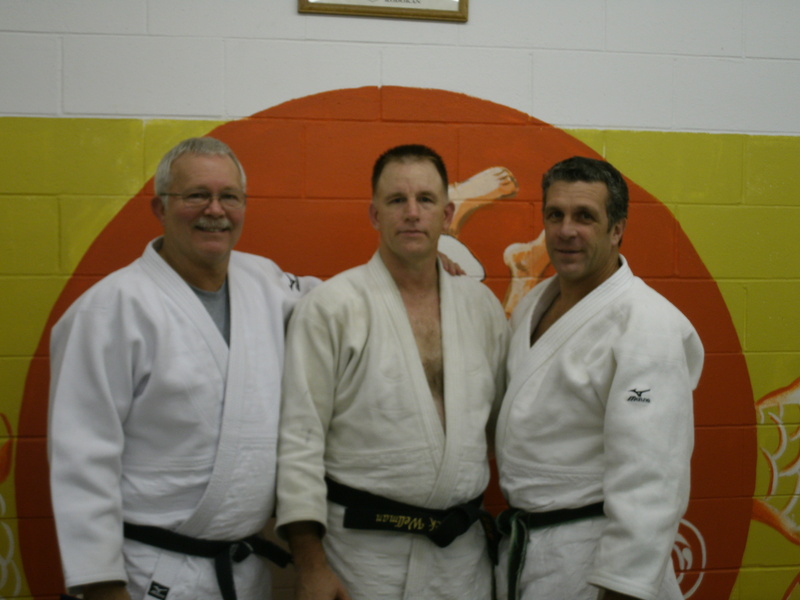 Dan Raney has been practicing Judo for more than 25 years. He broke into the martial art after having a successful high school and collegiate wrestling career. Judo has been a national sport in Dan’s family. All of Dan’s children including his wife has practiced judo at one time or another. Dan is a prime example of preseverance and patience in the sport of Judo. He has dedicated a lot of time and service to the martial art. Dan is our newest black belt at the club. He was promoted to Shodan. Judo has impacted these judoka’s lives on the mat and off the mat. These judokas are an asset to their families as well as our judo club. Congratulations to our senior class of 2011. 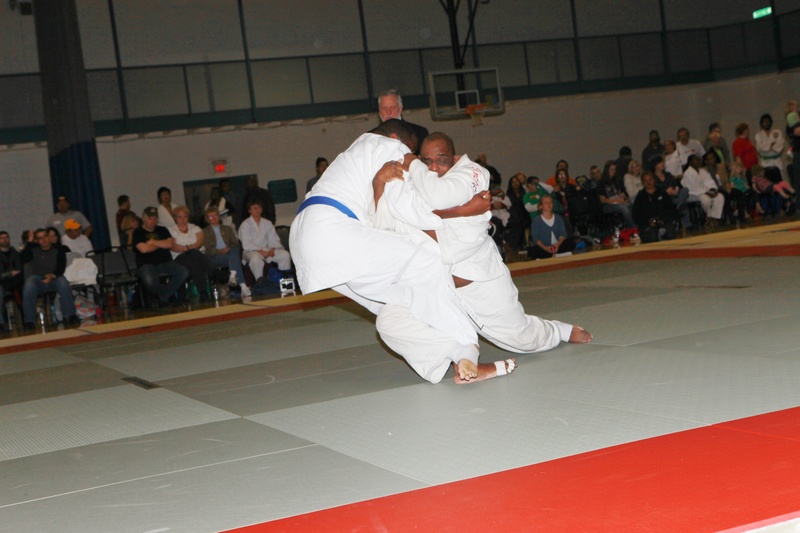 The largest judo tournament in the state of Missouri since 1970, the 1st Annual Gateway Invitational got underway on November 5, 2011. The tournament took place at the Overland Community Center in Overland, Missouri. Over 125 competitors turned out at this tournament with the Gateway Grand Championship trophy at stake. White Dragon Judo Club was the host judo club for this tournament. The club received assistance from volunteers, parents, and sponsors to make this tournament possible. Tournament director, Tracy Hangley worked countless hours insuring that the tournament ran like a fine tuned machine. Tara Kuhne, took over the reigns as junior head coach for this tournament. Ian Kuhne fought his way to a gold medal in a tough division. Anthony Darevsky took silver in his perspective division. Isabella Whitener fought her way to a silver medal finish. Issac Valdez-Soto displayed the persistent relentless attack style of his grandfather, Derick Wellman. This young superstar looks to have a bright future in the sport of judo. Valdez-Soto’s efforts landed him a bronze medal. After a brief hiatus, Julia Greene showed that her skills had not diminished. She reeled in a silver medal. Clarissa Whitener scored silver in her divisions while Mackenzie Beaird grabbed the bronze. Rebecca Mandernach and Mackenzie Grob fought in the largest and the most talented junior division in the tournament. Although they did not medal, they showed undaunting skill and promise. They will be the ones to watch in 2012. In the boy’s junior division Age 9-10, 69 to 80lbs, Devin Busch left his opponents stunned. Despite losing his first match, Devin was determined and willed his way to a playoff match, the only one in the tournament. Busch won by ippon and walked away with the gold. The men’s division saw the debut of two standout judokas from Korea. CheolHong Choi and Tae Young Choi rolled over the competition with flawless technique. CheolHong Choi displayed a brawling yet deliberate style of judo. He took home gold. Tae Young Choi was the judo player who stood out amongst all the competitors in the tournament. His soft technical style earned him the best technician award. T.Choi took gold in his division and qualified for the Grand Championship, in which he took bronze. Para-Olympic hopeful Adnan Gutic won silver in his division. Larry Lewis also took home a silver for his division. Eugene Hamilton settled for a bronze. Demonn Smith was on fire for this tournament, going 6-1 on the day. Tom Kuhne, coach of the men’s judo team, had Smith make some adjustments before the tournament. The adjustments and Smith’s savvy play helped him to two gold medals and silver in the Grand Championships. In the women’s division, nationally ranked judoka, Anna Feygina added a silver and a bronze medal to her medal case. Tiffany Polk showed off her freakish athleticism on her way to a gold medal finish in her weight class and a silver medal in the Grand Championships. 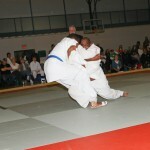 The 1st Annual Gateway Judo Invitational received great reviews from its peers. Preparations for next year’s tournament are underway. Next year’s tournament will be bigger and better and White Dragon Judo Club hopes to see you there.